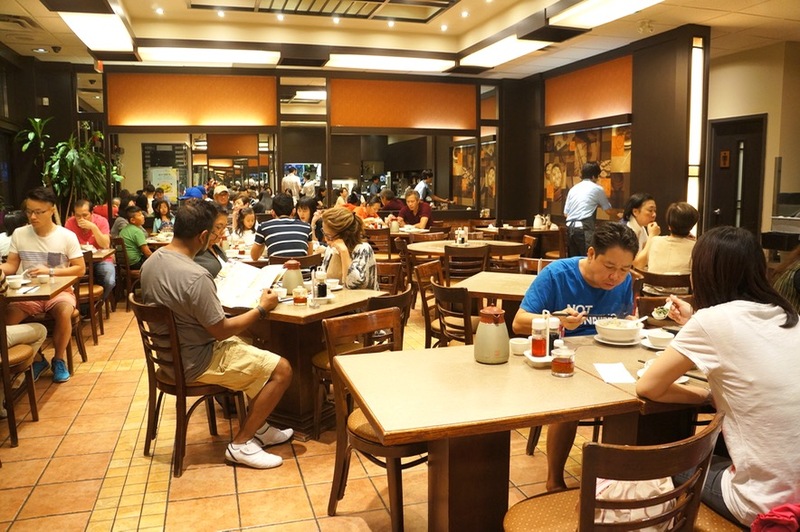 Whenever we’re in the mood for Shanghai food, we always end up at Ding Tai Fung in Markham. 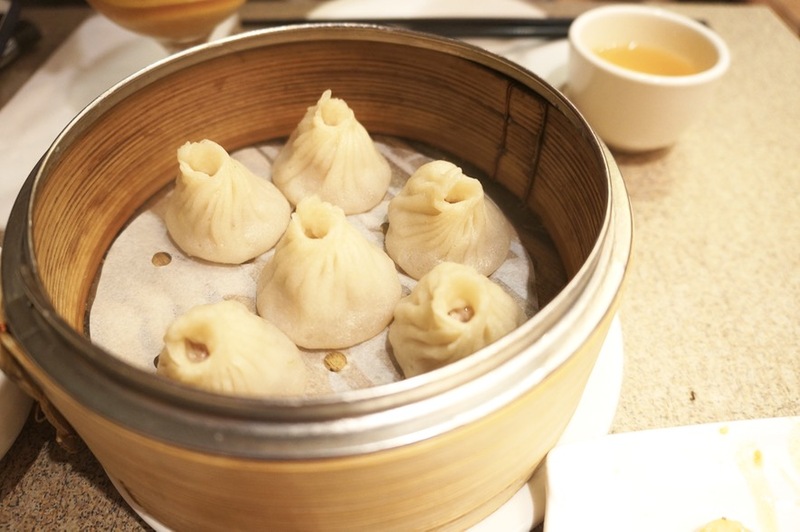 In the quest to try some place new, we wound up at 369 Shanghai Dim Sum, located in the Peachtree Plaza at Highway 7 and Kennedy. Judging by how busy it was on our Sunday evening visit, my guess is that it’s a pretty popular restaurant. It’s a casual no-frills spot and while the space is smaller than Ding Tai Fung, they offer a very extensive menu with many of the same offerings. You can’t come to a Shanghai dim sum restaurant without trying their Xiao Long Bao or Freshly Steamed Juicy Pork Buns ($5.95) as this restaurant calls them in English. There’s an art to picking them up with your chopsticks without puncturing the skin and eating them without burning your mouth. The skin was delicate and what made these ones unique was a hole at the top of each dumpling so the soup wasn’t scalding hot. While we found the pork filling to be enjoyable, we felt that there was a lack of soup in each dumpling. Definitely not soupy enough! 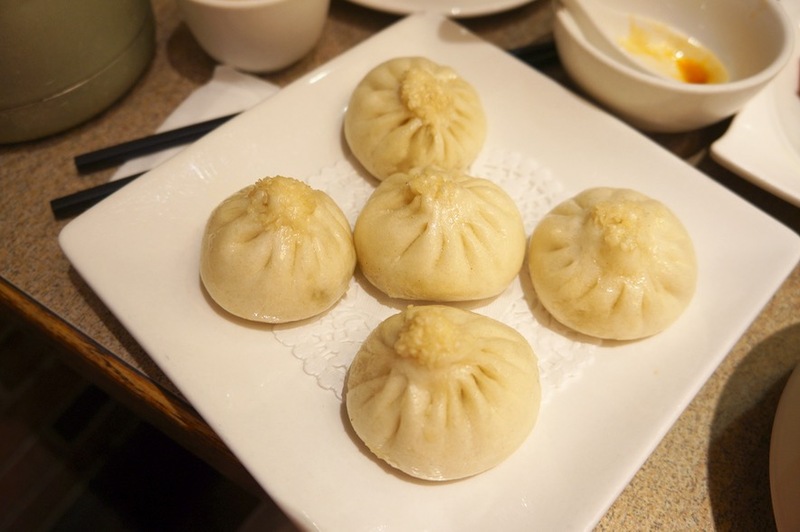 We also ordered the Shanghai-style Pan Fried Minced Pork Buns ($6.50), which comes with five buns per order. In general, I’m not a big fan of these since I often find them too bready and dry. These ones didn’t do anything to change my mind. They were a little too dry for my liking. Up next was an order of Shanghai Small Wontons with Spicy Sauce ($6.50). I was wondering why these wontons were so tiny but I guess I missed the “small” in the description. I thought they were tasty but I just wish there was more filling in each wonton. 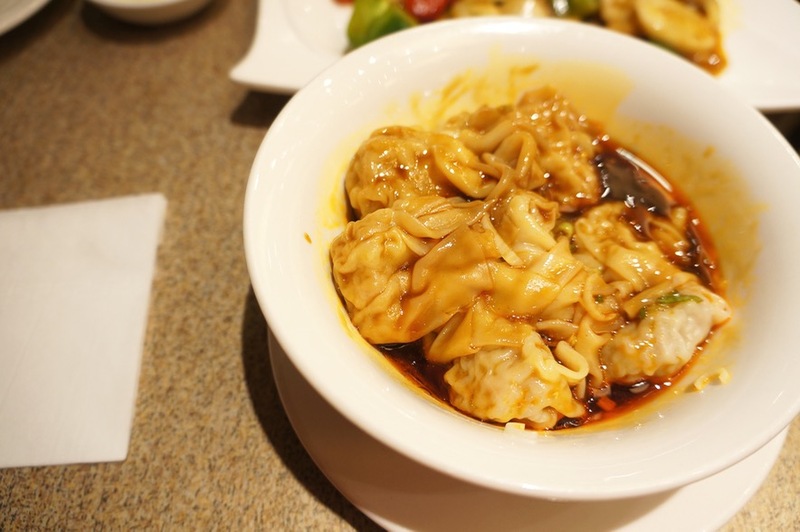 I prefer the spicy wontons at Ding Tai Fung (one of my favourite dishes there!). The Crispy Shredded Turnip Pie ($3.95) we ordered wasn’t what I expected but it was surprisingly delicious. 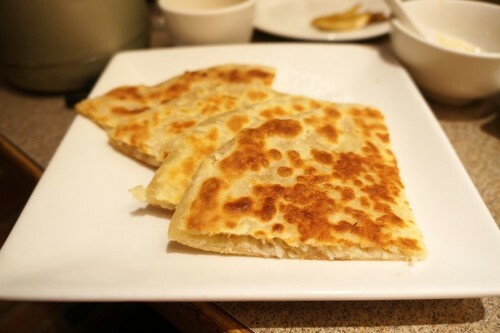 It came in the form of a flat pancake, similar to a green onion pancake, but filled with shredded turnip. It was fried to a nice golden brown and wasn’t too greasy. Another big hit of the meal was the Stewed Beef in Pancake ($9.95). I was surprised to see this priced so high but it’s definitely one of the better ones I’ve had. More often than not, the stewed beef is terribly dry. The beef here was tender, moist and covered in extra sauce. I also enjoyed the addition of green onions. A must-order! 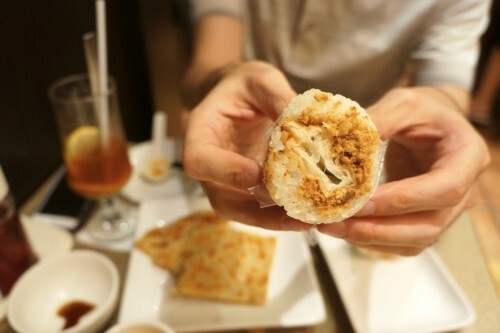 One of the highlights from our trip to Taipei last year was sticky rice rolls which they serve for breakfast. I took a gamble and ordered the Steamed Rice Glue with Salted Stuffing ($3.95), hoping this was it (gotta love the English translations!). It turned out to be what I wanted but unfortunately, it wasn’t as great as I had hoped. The rice itself was fine, as was the fried Chinese doughnut inside, but I was really missing the pickled vegetables which is normally found in this as well. For a more substantial dish, we ordered the Twice-Cooked Sliced Pork with Fried Rice Cakes ($12.95), a menu item which had the word “NEW” next to it. 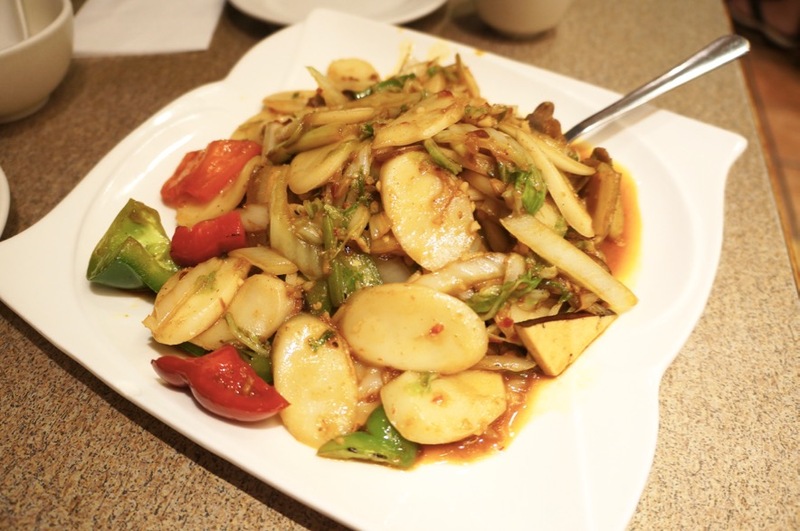 The dish consisted of chewy rice cakes, shredded cabbage, red and green peppers, garlic, mushrooms and a bit of sliced pork in a very spicy sauce. For the price, we were really disappointed with the lack of pork. Not that we particularly cared for it anyway… the meat was pretty ‘meh’. Rice cakes were great, albeit super oily, but the pork was a letdown. When we arrived at the restaurant, we were both starving, so needless to say, we went a little overboard ordering. This was, in fact, for just the two of us. We came home with leftovers, so don’t judge! Overall, it was a solid meal but nothing to write home about. 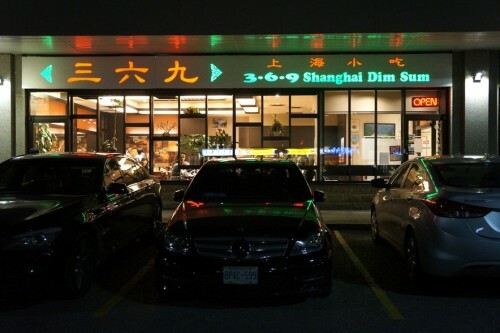 There were a couple hits but there weren’t enough of them to make me choose 369 Shanghai Dim Sum over Ding Tai Fung. You’ll know where to find me next time I have a Shanghai dim sum craving!